I know I’m in the minority as a Kenya Moore fan, but I really don’t get why she did not get a full-time offer to return to Real Housewives of Atlanta. She’s a newlywed, a new mom, and she’s still the shade assassin that she always has been. Mark my words, Kenya’s departure is a major loss for the show. Major. Nevertheless, I’m going to tune in faithfully every Sunday night and I’ll end up watching every episode from this season. Multiple times. 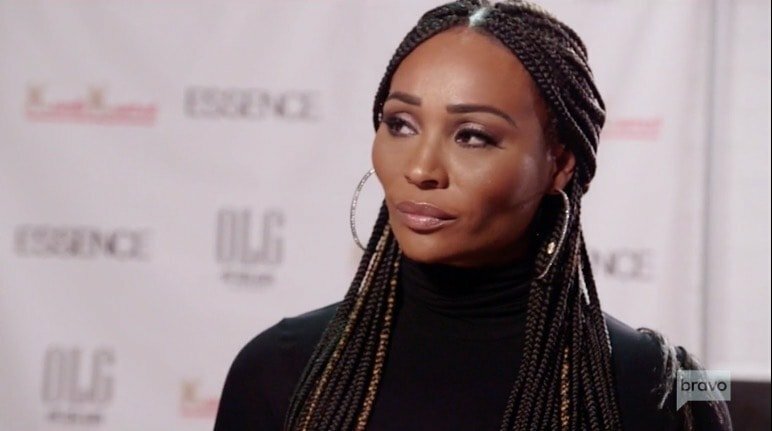 One person who definitely misses Kenya’s presence on the show is Cynthia Bailey. Another cast member that has the exact opposite feelings is NeNe Leakes, who has been shading Kenya left and right on social media. With Cynthia stuck in the middle, this could have been an interesting storyline. If only Kenya was still on this show…. Cynthia spoke out to TheGrio about the tension between her two close friends. She admitted, “I have no idea what that was about and honestly, I pretty much did not concern myself with it.” What happened though!? NeNe and Kenya seemed cool when the last season ended. Cynthia declared, “I have my friendship with Kenya and I have my friendship with NeNe. Anything they have going on has nothing to do with me. I am so Switzerland.” I wonder how NeNe and Kenya feel about that…. Then again, they both have a lot going on these days, so maybe they just don’t care. Kenya just gave birth to her first child and NeNe is taking care of her husband Gregg Leakes, who has been diagnosed with cancer. As for Kenya, Cynthia remarked, “I did miss Kenya filming this season. The good thing is, we are friends outside of the show so she is still in my life. There’s only one Kenya.” Then can we get her back on the show for Season 12? Is it too soon to start that campaign? TELL US- WILL CYNTHIA BE ABLE TO MAINTAIN CLOSE FRIENDSHIPS WITH BOTH NENE & KENYA? DO YOU MISS HAVING KENYA ON REAL HOUSEWIVES OF ATLANTA?